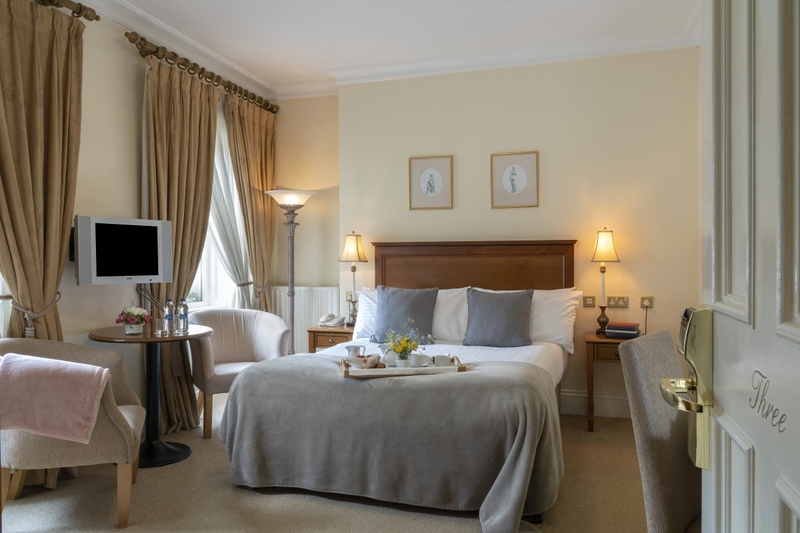 A family owned and managed hotel, the Duff family would welcome you to their award-winning hotel which is only one of 23 hotels in Ireland to carry the ‘Guaranteed Irish Brand’ and a member of Irish Country Hotels. The hotel offers 45 bespoke rooms of four-star standard, a standalone award-winning Restaurant ‘Vanilla Pod’, the authentic gastro pub ‘The Kelltic’, conference facilities up to 500 and landscaped garden with BBQ and outdoor dining options. One of the family, Olivia Duff, acts in a voluntary capacity as a Failte Ireland Food Ambassador and brings passion to working with local producers and showcasing local food as one of the hotels unique selling propositions. A perfect example of this being their unique menu, served in the Vanilla Pod restaurant, in which all ingredients are sourced within a 30-mile radius of the hotel. See link below to Failte Ireland Case Study on the Headfort Arms and its successful links with Causey Farm, just one of the many local collaborations suitable for corporate groups, others include; Loughcrew Adventure Centre, Headfort Golfing Complex where we can arrange preferential package rates. We can arrange, co-ordinate full packages with third-party venues for your group including activities, transport and refreshments throughout the stay. 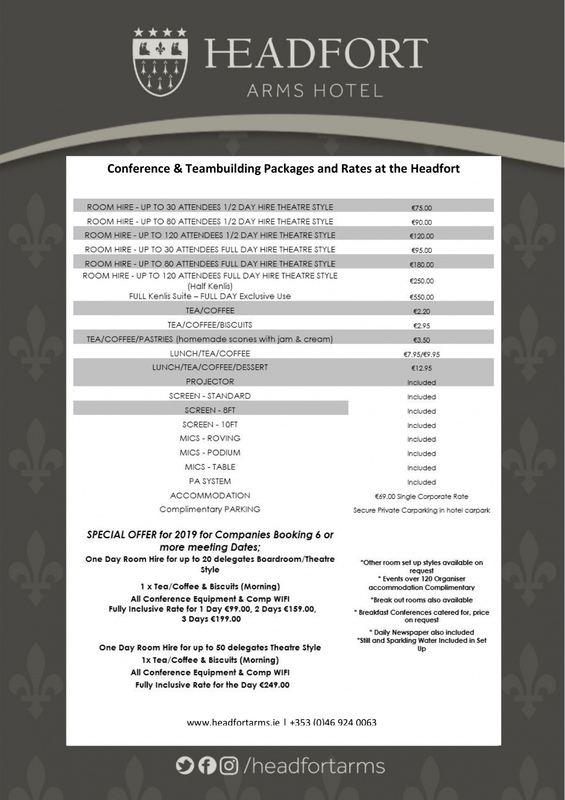 Please see below our conference rates and get in touch for more information.